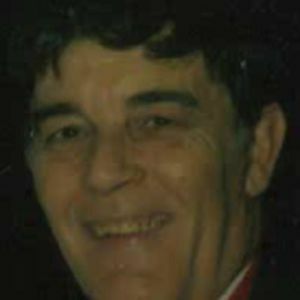 John W. Williams, 85, of Londonderry, passed away peacefully on Saturday, March 9, 2019 at Elliot Hospital, Manchester, surrounded by his loving family. A beloved father, grandfather, great grandfather, and friend. John's family was most important in his life. He cherished time spent with his family during the holidays, and summer barbeques. John was known for and will always be remembered for his well-done steaks and hamburgers. John enjoyed being able to golf in his spare time, playing bingo, and games of all types. John will be remembered for his kindness, generosity, and his warm heart. Along with his parents he is also predeceased by his wife Barbara (Hill) Williams of 43 years, his daughter Becki Mignogna, and his loving companion Rita Wood of 18 years. John is survived by his children Robin DeRossi and her husband Chuck of Londonderry, NH, Mark Williams and his wife Margaret of Goffstown, NH, Sheri Crane and her husband Ralph of Derry, NH, and Beth Chapman and her husband Bob of Pittsfield, MA; and his son in law Scott of Manchester, NH. John also leaves a legacy that will live on with his 9 grandchildren, 4 great grandchildren, and 1 great grandchild on the way. ARRANGEMENTS: His Memorial Gathering will be held in the Phaneuf Funeral Homes and Crematorium, 243 Hanover St., Manchester, on Sunday, March 24 Calling hours are 330-530. A Memorial Service will take place at 4:00. To view John's Online Tribute, send condolences to the family, or for more information, visit www.phaneuf.net. Add your thoughts, prayers or a condolence to John's guestbook. Your inquiry has been forwarded to Phaneuf Funeral Homes & Crematorium - Hanover Street.